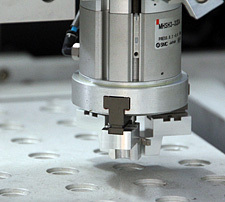 Gantry robots are mostly being used on CNC lathes and machining centers. 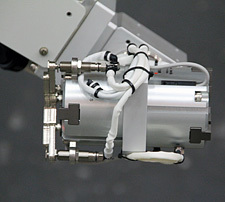 We have newly developed a 5-axis robot for cylindrical grinding machine. 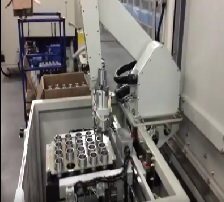 Easy Arm Robot is more advantage than manual operation, gantry robot and multiple joint robot……..
Easy Arm Robot is easy to install, operate and benefit! Today, metal machining is getting complicated. Multiple tools, multiple axis and multiple locations are mostly happened on every part machining. Machining time for one part might take multiple seconds to multiple minutes. In most cases, we will place one operator for one machine. 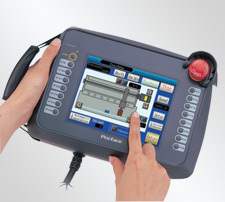 Interactive communication, HMI screen and short training time have made this controller friendly usage and easy adaption. Any level of operator or technician can be taught in two hours.